At Delaware Orthodontics, we understand how important having a great smile can be. We want our patients to feel confident when they smile. Dr. Husain listens to your needs and assesses each patient individually. 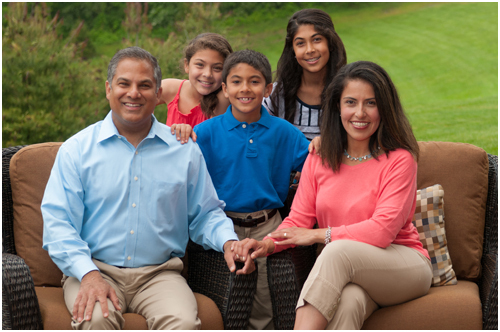 He is a leading orthodontist in Delaware and strives for patient satisfaction every day. He was chosen as a Top Dentist in Delaware Today in every year that the distinction was made. He strives for excellence and is committed to using the best and most proven technologies available. 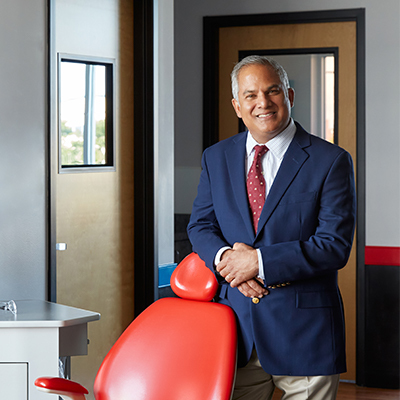 Invisalign Elite and Teen Provider amongst the top 5% of practices in the U.S.A.
Dr. Husain resides in beautiful Delaware with his loving wife, Rose, and their three children. He enjoys spending time with his family, running (slowly), skiing (on thrilling slopes), biking, and motorcycle riding (no jumps). He is an assistant wrestling coach for his son’s team. Dr. Husain loves meeting new patients. Whether it’s for Invisalign, traditional braces, clear braces, SureSmile, sleep apnea appliances, TMJ splints, or retainers, our office will suit your needs. Call and make an appointment to meet Dr. Husain in person to see why people keep coming back. We offer two convenient locations so make an appointment for our Newark or Middletown, DE office today!